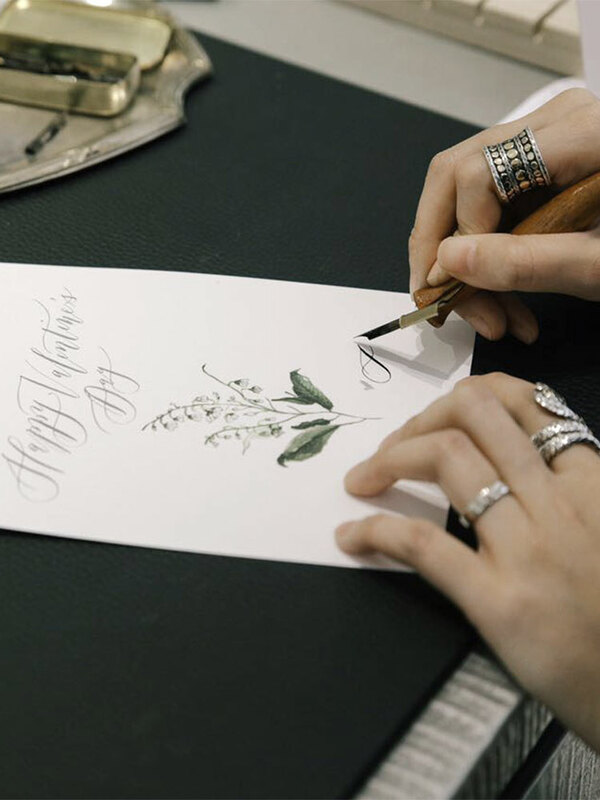 On Valentine's Day, Dior Indonesia hosted a private party at their boutique in Plaza Indonesia featuring in-store calligraphy services for their clients. 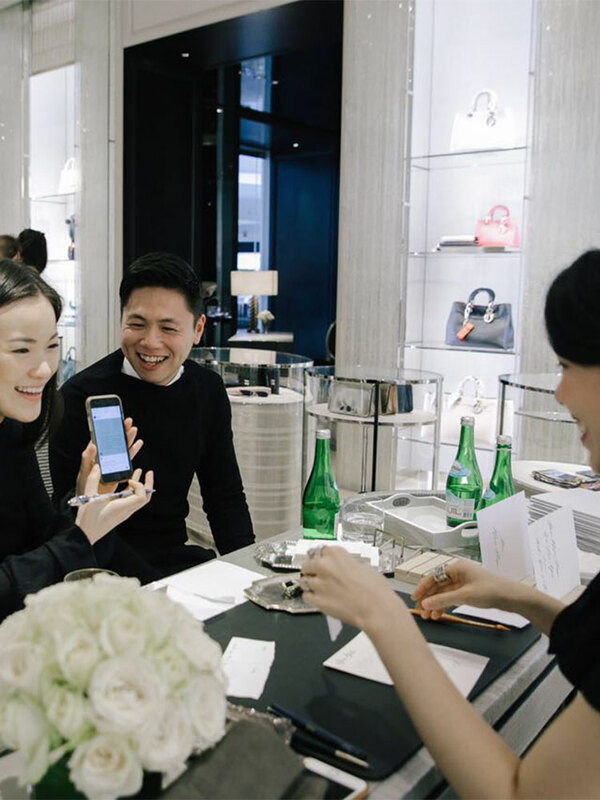 The event was buzzing with Dior's customers and social media influencers. 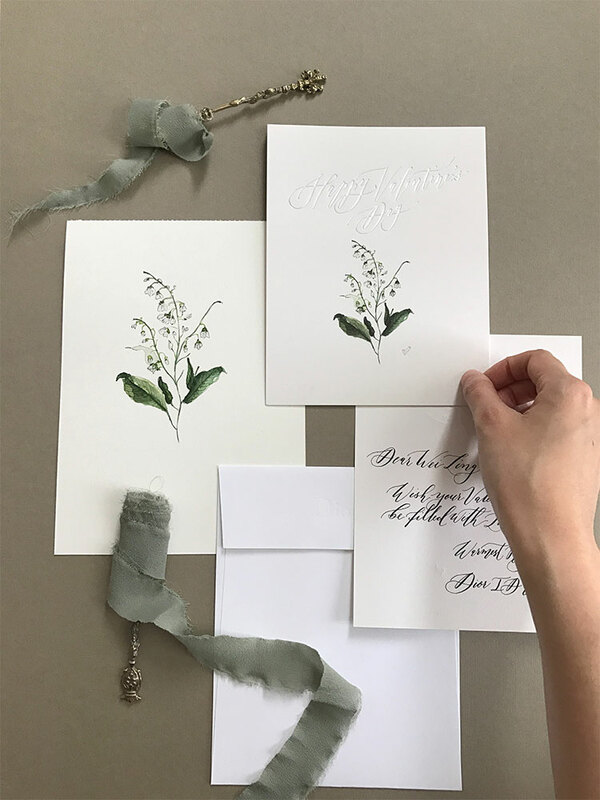 For the event, Veronica Halim Calligraphy created two distinctive cards with watercolor botanical illustrations (lily of the valley and rose). The guests were able to request custom calligraphy notes for their loved ones on these cards.